Our home is large and spacious, with 4 large double bedrooms, 2 bathrooms, 3 internal living areas and 2 outdoor covered living areas, double lock up garage, double carport and above ground swimming pool. The top level of the house has expansive views of Moreton Bay, with bird life being a distinct feature of the area. We live in a quiet suburb with neighbours all being families. It is a 5 min walk to the waters edge, 10 minute walk to local shops, public transport and restaurants. If you are into paddling there is a local canoe club with numerous water craft to use. We are a professional couple in our 50s, and enjoy outdoor activities ie. 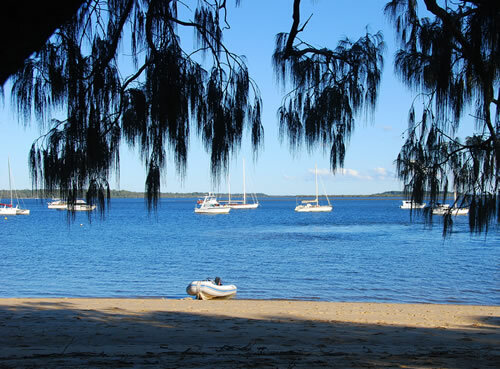 bush walking, swimming, canoeing, cycling, camping etc. We have 3 adult children all studying at University. We enjoy visiting new places and learning the history of the area. We have travelled some of the major cities of Europe and look forward to visiting more. My parents were Dutch and I have spent some time in Holland hence I can speak Dutch. Looking forward to finding a suitable house swap that gives everyone involved a wonderful, stress-free holiday.